Set of four large opaque, textured, silver coloured candle votives ideal for tea lights with reflective mirror base. 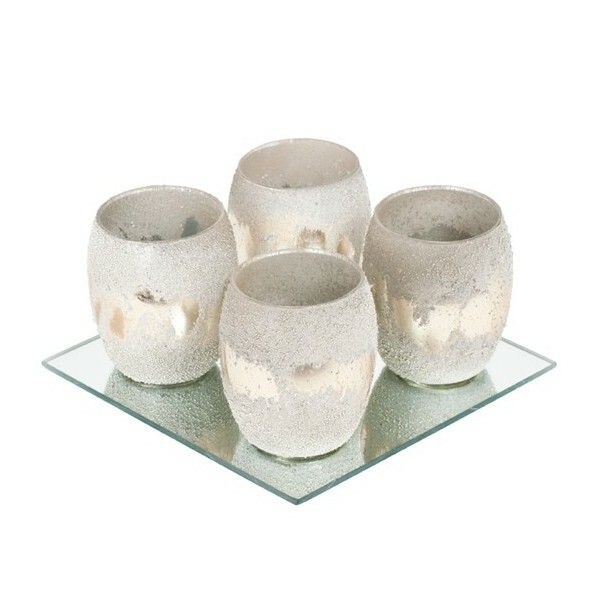 Four unique, rustic yet elegant glass tea light holders with a metallic silvery textured opaque finish. Complete with mirrored tile, for numerous display options. 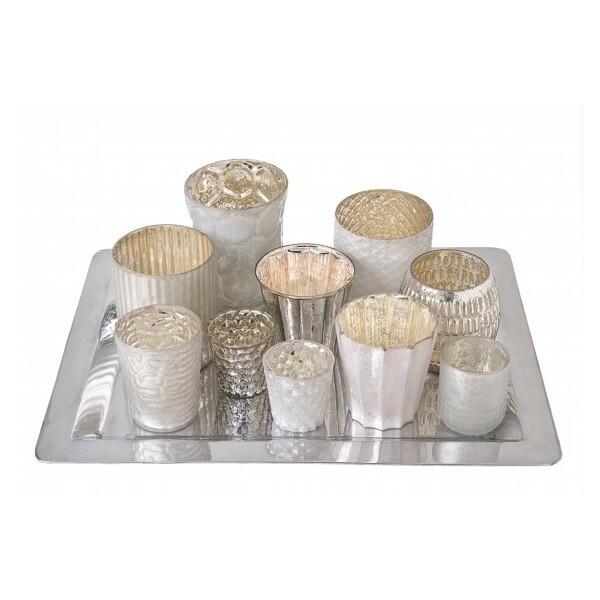 The votives create a beautiful centrepiece when placed on the tile, or spread out along in a line on a dining table. (Tea lights are not included).